One thing I really love about working in the wedding industry and running a blog is getting to know all the amazing wedding suppliers. There are just so many talented people in this industry who have such a passion for what they do. Who or what inspired you to become a make-­up artist specialising in weddings? 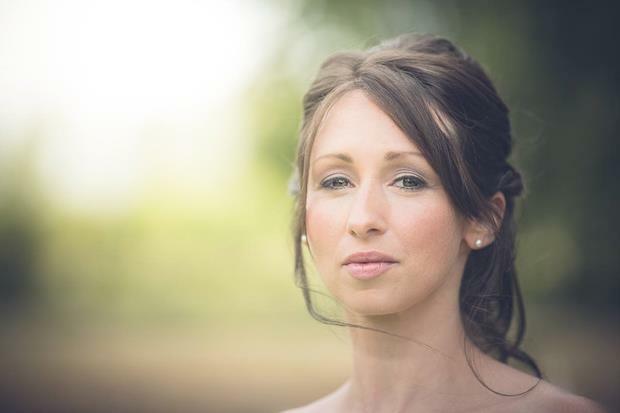 I love pretty and timeless makeup which inspired me to specialise in weddings. I don’t just do the brides makeup and leave – ­I help her into her dress, help get the flowers ready, clasp her necklace and stay for the day to touch-­up her makeup if she’d like me to. I absolutely love making people feel beautiful and for me, nothing is better than the joy and excitement of a bride on her wedding morning! How would you describe your particular style of bridal make­-up? 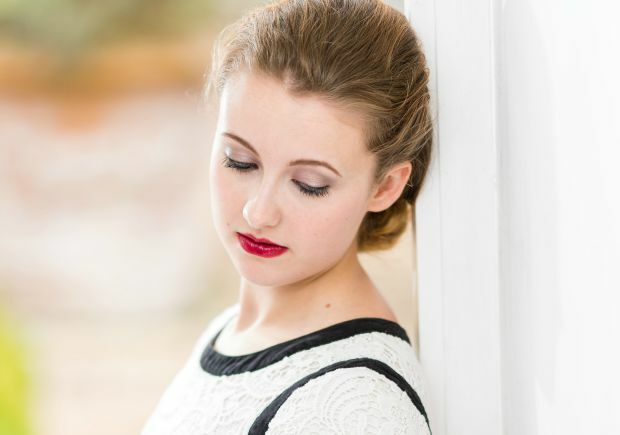 My style is capturing the incredible beauty of the bride and creating natural, relaxed, timeless and beautiful makeup. I love makeup that you’ll look back on in years to come and it will still be classic and stylish. If you could go anywhere in the world and make­-over a bride for her wedding day, where would you go? Destination weddings are so beautiful! I would love to do a wedding in France one day. That would be wonderful as I love the chic French style and the country is of course gorgeous. Each wedding morning is so different, it’s wonderful. Some are very relaxed and others are absolutely not! My favourite weddings are the ones where I arrive and after about 5 minutes, I feel like a part of the family. I had a great wedding earlier this year­ – it was calm, fun and I absolutely loved helping the bride into her dress and seeing her drive off with her father to the ceremony. It was just so wonderful to be a part of her special day. I got married earlier this year and I did the makeup for my mum, mother­-in-­law, 2 bridesmaids and also myself. It was great as it meant I didn’t have time to feel nervous! I have 2 guinea ­pigs and they are the cutest things ever. My favourite meal is pasta, cheese and tomato ketchup ­ yummy! 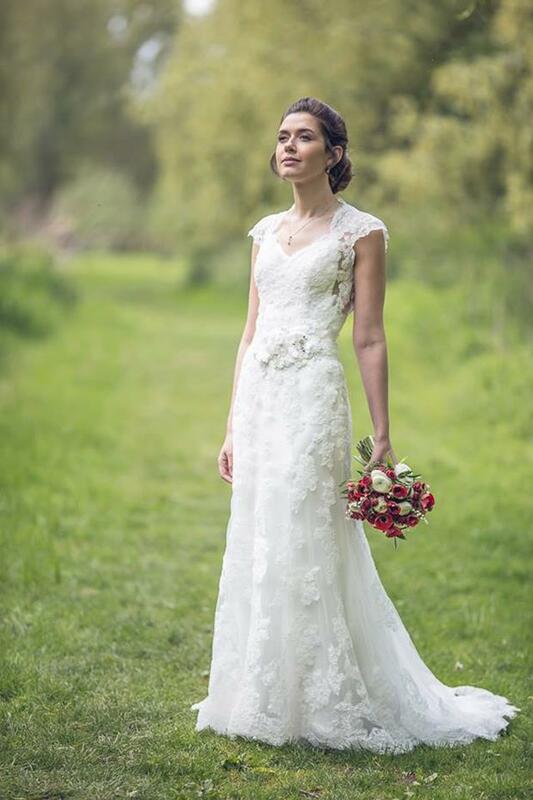 I am qualified in beauty facials and eye treatments which is handy, as it’s another step in helping brides look their absolute best. I was a beauty blogger when I was a teenager. This taught me so much about the beauty industry and also kept me busy until I was old enough to train in makeup. When it comes to selecting a bridal make­up artist, what advice would you give to brides and their maids? Look through your potential makeup artists photos to get a real idea of their style. Most makeup artists can create any look you are after, however most of them will have a style that they are particularly great at. If you came to me wanting a full ­on dark and glamorous look, that would be wonderful and I could do that for you. My preferred style however is very timeless and naturally beautiful, which you can see from my portfolio. Another tip is, makeup artists tend to book up to 18 to­ 24 months in advance, so don’t leave it too late! … lipsticks! You really can never have too many. I would love to hear all about your wedding so if you would like any information about booking with me, please get in touch! Lovely getting to know you Becky! And brides to be, please do go take a look. Gorgeous make up! Brides really want a natural look make up on their wedding.